To understand the human brain, take note of the rare, the strange and the downright spooky. That's the premise of two new books, Unthinkable by science writer Helen Thomson and The Disordered Mind by neuroscientist Eric R. Kandel. Both books describe people with minds that don't work the same way as everyone else's. These are people who are convinced that they are dead, for instance; people whose mental illnesses lead to incredible art; people whose memories have been stolen by dementia; people who don't forget anything. By scrutinizing these cases, the stories offer extreme examples of how the brain creates our realities. In the tradition of the late neurologist Oliver Sacks (SN: 10/14/17, p. 28), Thomson explores the experiences of nine people with unusual minds. She travels around the world to interview her subjects with compassion and curiosity. In England, she meets a man who, following a bathtub electrocution, became convinced that he was dead. (Every so often, he still feels "a little bit dead," he tells Thomson.) In Los Angeles, she spends time with a 64-year-old man who can remember almost every day of his life in extreme detail. And in a frightening encounter in a hospital in the United Arab Emirates, she interviews a man with schizophrenia who transmogrifies into a growling tiger. By visiting them in their element, Thomson presents these people not as parlor tricks, but as fully rendered human beings. Kandel chooses the brain disorders themselves as his subjects. He explains the current neuroscientific understanding of autism, depression and schizophrenia, for example, by weaving together the history of the research and human examples. His chapter on dementia and memory is particularly compelling, given his own Nobel Prize–winning role in revealing how brains form memories (SN: 10/14/00, p. 247). With diagrams of key brain regions, Alzheimer's plaques and even chromosomes, Kandel's book reads in some ways as a primer on the basic tenets of biology and neuroscience. Also included are stories of people, such as a woman who describes her bipolar illness in stark terms: "Feelings of ease, intensity, power, well-being, financial omnipotence and euphoria pervade one's marrow." But then, she says, everything changes. "You are irritable, angry, frightened, uncontrollable and enmeshed totally in the blackest caves of the mind. You never knew those caves were there. It will never end, for madness carves its own reality." Though these cases seem extreme, Thomson and Kandel relate unusual brains to more common forms of thinking. Observing huge emotional swings that come with bipolar disorder can help inform scientists about more mundane changes in our happiness or sorrow. Figuring out why a person thinks he's dead could reveal how we more generally create our sense of self. Understanding why someone might remember everything, or nothing, could help us understand how memories physically change the brain (SN: 2/3/18, p. 22). 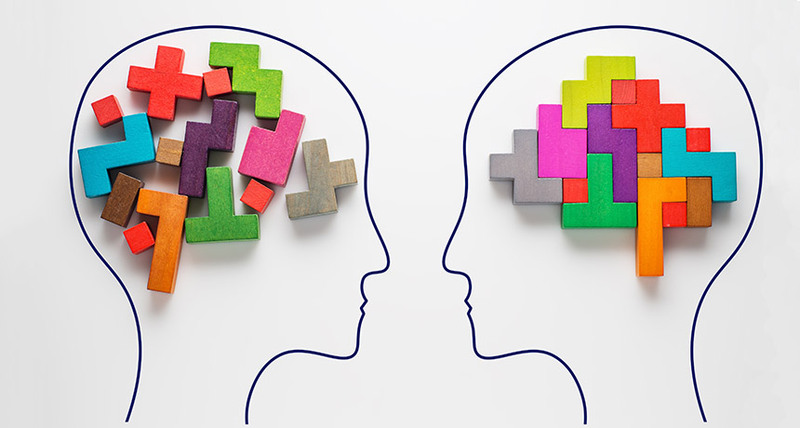 By connecting these strange brains to everyday mental processes, both books make clear how much we all have in common, and more than that, how all our brains are a little bit unusual. Buy Unthinkable and The Disordered Mind from Amazon.com. Science News is a participant in the Amazon Services LLC Associates Program. Please see our FAQ for more details.